Transplant medicines (immunosuppressants) to prevent rejection. Medicines to deal with other common problems after kidney transplant, such as cholesterol and blood pressure tablets. Immunosuppressants are medications that help prevent rejection of your transplanted kidney. They are called immunosuppressants, because they work by suppressing your immune system. These are powerful medications that affect other parts of your body. The goal of immunosuppressant therapy is to find the right balance, between preventing rejection while minimising side effects, and reducing the risk of infection. Many of the sideeffects are more severe when the dosage of the anti-rejection medication is highest, just after the transplant. In the weeks and months following your transplant, the dosage may be reduced, and some of the side-effects may become less troublesome or might even disappear. If you experience sideeffects, tell your doctor or transplant nurse, who might be able to adjust your dosage or switch you to another medication. Anti-rejection medications work only within a very narrow range in your body- too little, and you risk rejection; too much, and they can be poisonous or toxic to your body. That is why you must take these medications exactly as instructed. Never take more, never take less, and never, ever, skip a dose. If you do forget to take a dose, take it, if remembered, within 4-6 hours of the prescribed time, but never take a double dose, unless you are specifically told to by your doctor. In order to be certain that you are getting precisely the right amount of anti-rejection medication, you must be monitored carefully with routine blood tests, which also measure the drug level within your body. You must take these medications for the rest of your life. Even if you have had a rejection episode or your doctor has reduced your dosage, you must not stop taking these very important medications. If you stop taking your medication, you will lose your kidney transplant. It is that simple. Prednisolone is a steroid drug, available in 5mg tablets, and should be taken once daily, in the morning, and always with food. The dose of Prednisolone may be high at first, usually starting at 20mg daily, but will be tapered down over the first three months. Never stop taking this medication abruptly. Some side effects of this medication include: increased appetite, weight gain, bone loss, increased risk of infections, acne, elevated blood sugars, joint pain and muscle weakness, increased sensitivity to the sun, mood changes, increased blood pressure, cataracts and glaucoma. This medication is available in oral capsules, strength 0.5mgs, 1mg and 5mgs. 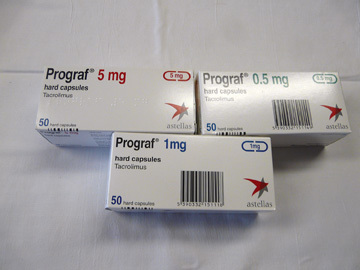 Take Prograf in two divided doses at the same time each day, twelve hours apart. Take Prograf on an empty stomach, one hour before or two hours after meals. Grapefruit and grapefruit juice will interact with Tacrolimus and must be avoided. Possible side effects of this medication include: tremor, headaches, nausea, vomiting or diarrhoea, high potassium levels, hypertension, hair loss and diabetes. You transplant team will measure the level of Prograf, in your blood, each time you come to the clinic. For the first 3 months, after transplant, your doctor will adjust the dose to achieve a level of 6 to 12mg/ml. After 3 months they will be aiming for a lower level of around 6 to 10mg/ml and after 6 months they will aim for a level closer to 6 to 8mg/ml. A high a level of Prograf may result in a higher serum creatinine. Other drugs may interfere with Prograf. If your GP, or any other doctor prescribes a new medication, check with your transplant team before starting it. This medication is available in 250mg oral capsules and 500mg oral tablets. Take CellCept in two divided doses, at the same time each day, twelve hours apart. 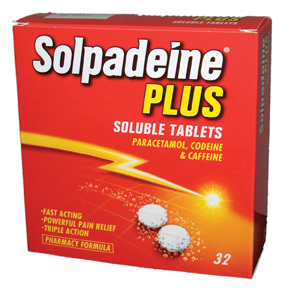 Possible side effects of this medication include: diarrhoea, vomiting or nausea (diarrhoea associated with CellCept mainly improves after 2-3 weeks), abdominal pain, decreased white cell count and platelets. Report any signs of bruising or bleeding to your doctor. Women who want to become pregnant will need to come off CellCept or Myfortic and use a different medicine before they even plan to become pregnant. This medication is available in 180mg and 360mg oral tablets, which are enteri-coated. This medication works in a very similar way to CellCept and has similar side-effects. This medication is available in 25mg and 50mg oral tablets. Take this medication, at the same time every day, with food. Some side effects include: nausea or vomiting, low white blood cell and platelet count. You will be monitored very carefully to detect any complications. 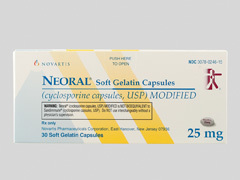 This medication is available in soft gelatine capsules in 25mg, 50mg and 100mg doses. An oral solution is also available. Grapefruit and grapefruit juice will interact with Cyclosporine and must be avoided. Side-effects of this medication include: hypertension, increased hair growth, enlarged gums, tremors, high potassium levels and elevated blood sugars. This medication is available in 1mg and 2mg tablets. Grapefruit and grapefruit juice will interact with Sirolumus and must be avoided. Side-effects of this medication include: high cholesterol, hypertension, rash or acne, mouth ulcers, bone pain, respiratory problems and delayed wound healing. The medications you take to stop your body from rejecting your new kidney also reduce the normal ability of your body to fight bacteria, viruses, and other germs. As a result, you are at an increased risk of getting an infection. Your doctor may prescribe one or more drugs to protect you from infection or to control infection. The following are some of the more commonly used antibiotics (antibacterial drugs), antiviral drugs, and antifungal medications. Septrin is used to prevent and/or treat, pneumonia and other infections. Transplant patients have more risk of getting pneumonia, because of the drugs taken to avoid rejection, which reduce their body's ability to fight infection. Your transplant team will decide the right dosage and length of time for you to take Co-trimoxazole. Take plenty of fluids with this medication. Check with your transplant team about the amount. Main side effects include nausea, rash, itching, and increase risk of sunburn. Valtrex is used to prevent or treat herpes simplex and shingles. Valtrex will not get rid of the herpes virus, but it will lessen the pain and help heal the sores. Acyclovir is also used to prevent and decrease the severity of CMV infection. 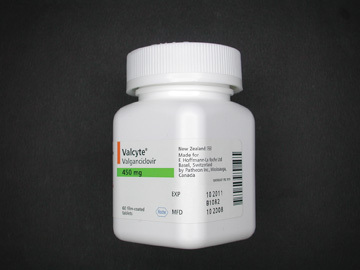 Valcyte may be given to help prevent or treat infections that are caused by a virus called Cytomegalovirus (CMV) It is given orally in 450mg tablets. It is generally given once daily, in the morning. You will be asked to take this medicine for 3 to 6 months. Men should take contraceptive precautions whilst on this medication. The lowered ability of your body, to fight infection, puts youat more risk of getting a serious fungus infection. 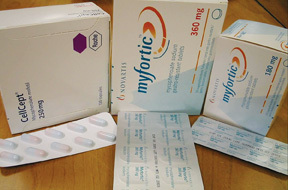 This maytake the form of thrush, or, in women, vaginal yeastinfections.Various drugs are used to treat or prevent fungus infections.Nystatin (Mycostatin) and Fluconazole are the most commonlyused. 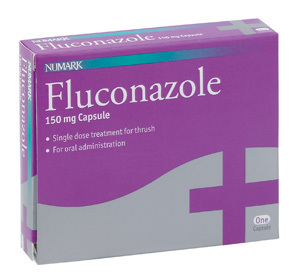 Fluconazole and related antifungal drugs can interact withsome anti-rejection medications, so an adjustment will be made in your medications when you start and stop taking the antifungal drugs. Nystatin oral suspension does not interact. Your transplant team will decide the right dosage and length of time for you to take antifungal medications. Main side effects include nausea, vomiting, diarrhoea and an unpleasant taste. Because some medications you take can cause stomach ulcers, you may need to take other medication to help protect your digestive system. These drugs will be prescribed by you transplant team, when necessary. 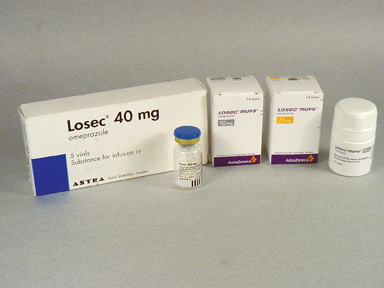 Ranitidine (Zantac), Famotidine (Pepcid), and Omeprazole (Losec), are medications used to prevent and sometimes treat stomach ulcers. It is important to follow instructions about meals and other medications when taking any of these drugs. Your transplant team will decide the right medication, dosage, and length of treatment time for you. Do not take these drugs with other medications unless your transplant team has told you to do so. The following is a list of common complaints with recommended over-the-counter medications that you can take. Please check this list before taking any overthe- counter medication. The addition, of any other medications or change in your current medications, must be made through your transplant centre. 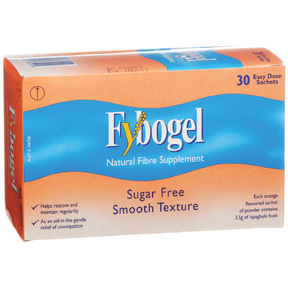 Fybogel and Senekot are medications that you may take. Increase fluids and fibre in your diet (bran, fresh fruits and vegetables). 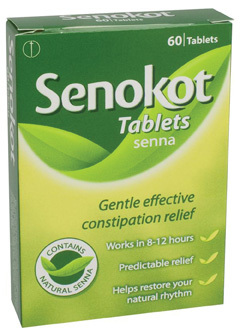 If constipation remains a problem, be sure to contact your GP. Imodium, Lomotil, are medications that you may take. 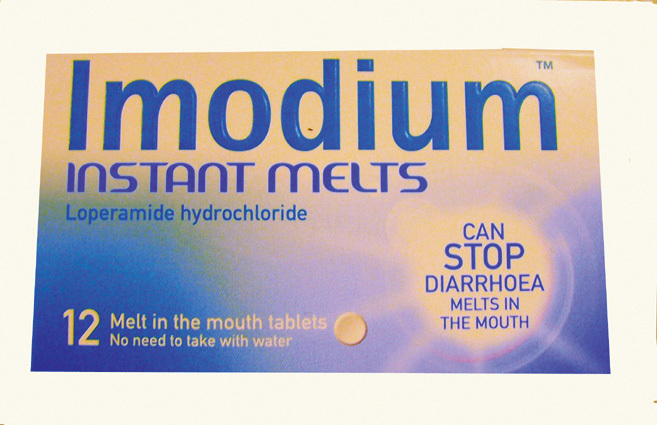 Increase fluids to prevent dehydration until diarrhoea goes away. If diarrhoea persists, for more than 2 days, contact your GP. These medications are known as non-steroidal anti-inflammatory drugs (NSAIDs) and interact with your immunosuppressants and may harm your kidneys. 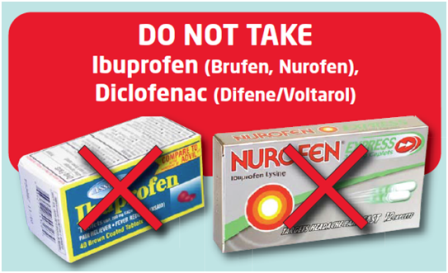 There are many other NSAIDs, known by many different names, always check with a health professional if unsure. Your pharmacist can assist you. If you have common cold symptoms call your transplant centre if symptoms persist or worsen. 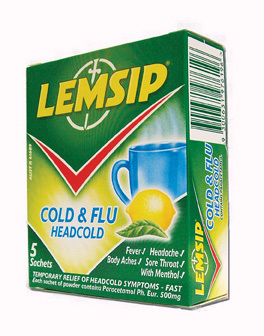 Over-the-counter medications that you may take include Lemsip. Your transplant team may recommend you take vitamin and/or mineral supplements if your diet is not providing enough of the nutrients you need. Check with your transplant team before taking any nutritional supplement. CAUTION: HERBAL PRODUCTS OR HERBAL TEAS Since there is little information about drug interactions between herbals, and anti-rejection drugs, it is not recommended that transplant patients take herbal products. Herbal products are not regulated by any government agency. This means that they are not tested for safety, side-effects or drug interactions. St. John's Wort, for example, is a herb known to increase the risk of rejection by decreasing the amount of the antirejection drugs in your blood. Other products that may ‘enhance your immune system’ may lead to rejection as well. Running out of medication is careless, dangerous and unnecessary. Keep a regular count of your medications. Don't wait until you've run out, or are on your last pill, before ordering. Refill your prescriptions early. Your immunosuppressive medications are initially prescribed on a high-tech prescription. This prescription informs the health authority of the medication you are taking which is, in turn, funded by the HSE. Your pharmacy may require an up-to-date high-tech prescription every six months. If you do require a high tech prescription, ask your doctor at your clinic visit. Many local pharmacies do not keep regular stocks of some transplant medications and will need time to order them. Try to keep at least a two-week supply of all medications, at all times. Use only one pharmacy. If the pharmacy has a complete record of all your medications, they can be sure to stock each of the medications you require, when you require them. Check your medications when you receive them from the pharmacy. Look at each label and medication. If there is anything that appears different than usual, call the pharmacist immediately, as mistakes can happen. Keep your medications in a place that is dry, dark and neither too hot or cold. Never store medications in the refrigerator, unless instructed specifically to do so. Keep medications where you will remember to take them. Keep all medications out of the reach of children and separate from other peoples’ medication. For most patients, stopping, dialysis after a transplant, means certain medications will no longer be needed. Medication such as phosphate binders and quinine are usually discontinued. Vitamin D medicines, such as One Alpha, are also likely to be discontinued unless you have had a surgical parathyroidectomy carried out to control parathyroid hormone levels. 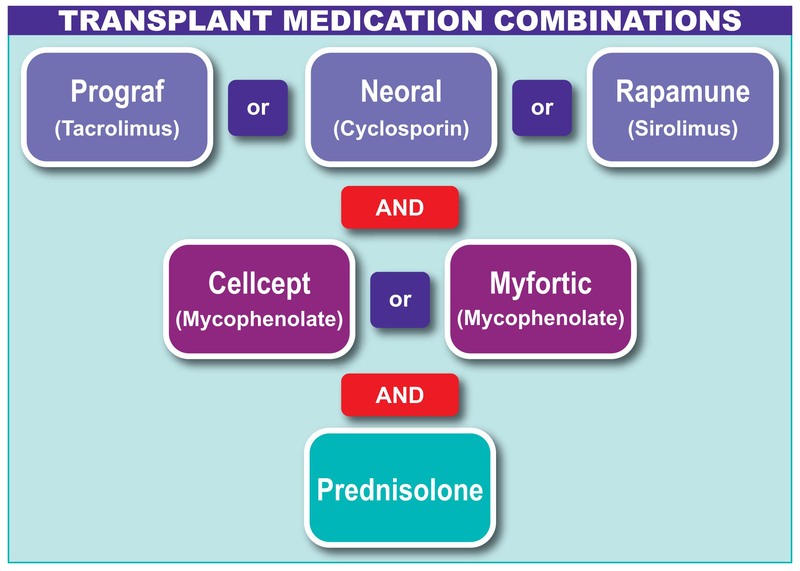 A successful transplant should help correct anaemia from end stage kidney disease (ESKD) so that erythropoietins and iron supplements may not be needed after transplant. If you are unsure about the need for any of your medications. ask your doctor. Tell any other doctor, dentist or surgeon looking after you, what medications you are taking and show them your Renal Transplant Passport. Anti-rejection medications can interact with many other medications, both prescription (especially certain antibiotics) and over-the-counter medications. These interactions can cause you to get too much or too little of the required medication. Never take any medication, including herbals, tonics or supplements, without first discussing it with your transplant doctor, nurse or pharmacist.